Watch this video at YouTube. Many agree that for distance education to be truly successful, “human presence,” the ability to interact authentically with other human beings, must be central to the pedagogical design. YouSeeU.com capitalizes on this principle by providing customized LMS-agnostic applications for asynchronous online human interaction. Join Dr. Douglas Hersh, Dean, Learning and Technology Resources at Grossmont College as he videoconferences with YourSeeU's Josh Kamrath to learn about their exciting new enabling technologies for human presence. Pedagogy 2.0: Students, Take Note! While some learning theories view student note-taking as an essential means of knowledge reconstruction, many students find the multitasking requirements daunting. Pedagogy 2.0 speaks with Cogi.com to learn about a mobile note-talking app that promises to help students listen and think critically when information exceeds the speed of write. Watch the video and let us know what you think! In this edition of Pedagogy 2.0, I’d like to focus on a quiet revolution that is less about gold-plated iPhones and more focused on wonder, excitement, and just plain fun. I am referring to how a new generation of dreamers will change your life through a combination of daring, design, and development. The projects below suggest just how much our students can learn through an integrated multidisciplinary curriculum formulated around their outcome-oriented ventures. 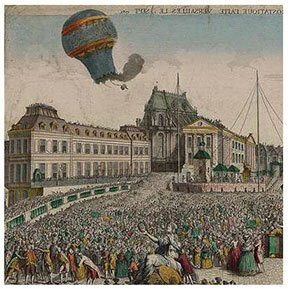 The Montgolfier brothers could have lofted their Aérostat Réveillon on the sighs of relief issued by distance educators when the U.S. Court of Appeals agreed with a lower court ruling on June 5th, 2012 to vacate U.S. Department of Education §600.9c. As to the age-old student question, “what’s the point of learning this?” my mentor and Yale President, A. Bartlett Giamatti, replied that “it may not make you richer, but it will definitely make you richer inside.” Evidently Peter Thiel thinks differently. With a net worth of over 1.6 billion dollars, the PayPal co-Founder has developed a fellowship for students to forgo a traditional college education so they can focus on their entrepreneurial projects. What do you do when it is time for a new pair of shoes, a new bag or phone? Chances are you will shop for them online or buy them at the local mall. Yet a technical revolution on the scale of the Gutenberg press is quietly changing how we produce, what we consume, and perhaps most important, the role each of us will play in the process. It is called 3D printing. It sounds like a joke: what happens when you cross a 3-D printer with a computer simulation of the human brain can that can count, remember and even gamble? 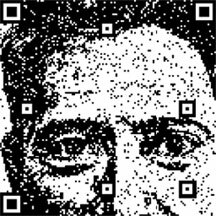 A grant with a cash flow problem? With over 100 million tweets overall, the 2012 Summer Olympic Games in London is now considered one of the most twittered about events in history. Usain Bolt's victory in the 2000-meter sprint garnered 80,000 tweets per minute (tpm), even more than the parachuting queen and Great Britain's gold medal in cycling. Forbes magazine considers the summer games the Olympics in which tablets and apps dominated, with many gold winners openly crediting their iPads for their success and as many as 12 million people watching the game on bbc.com through their tablets or smartphones. "I found 3 suicide prevention centers. Tap the one you want to call..."